Mobile applications have become a popular trend and striking attribute of the modern world. Every day you can run across success stories of applications upswing and business cases related to app business growth. But what kind of businesses are now interested in having their own mobile applications? Maybe it is not that much needed as it may seem? Who is likely to use the application more than the site? The main thing to understand here is that the application is just a tool behind which the most complex business processes take place. Mobile applications and mobile-friendly site have much in common but still their functions are different, so it is very important to know what would meet your business needs best. an application can send push notifications to the user, information resulting in a good conversion if properly configured. This is not just a tool for sales and pre-sale, but also an array of messages about promotions and important company news. Mobile - friendly site, however, requires interaction with the clients: they need to open the browser, enter the site address and go to the website page directly or through the link from the post / SMS. most applications allow you to make at least part of the functionality work offline, while the mobile-friendly site requires a constant connection to the Internet. the cost of building a high-quality application today is in the range of the development of the website. However, to reach the maximum audience with a mobile application, you need to develop it for at least three popular operating systems (iOS, Android and WinPhone). Nevertheless, both types of this mobile-friendly technologies can help you to increase sales, get new customers as well as build trust and credibility. 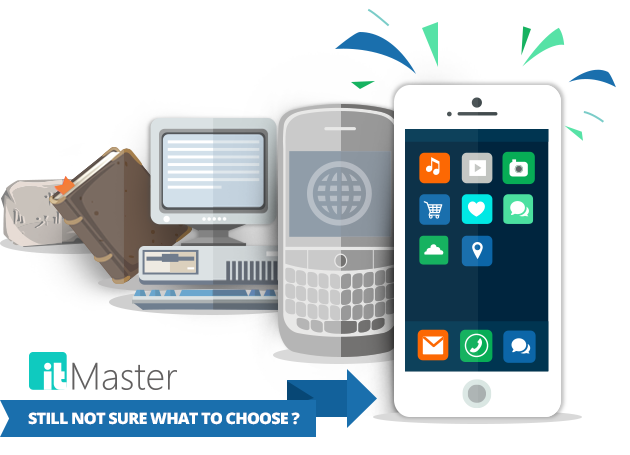 Still not sure what to choose for your business or have more questions about the advantages of apps and mobile-friendly sites? Feel free to ask IT Master expert!